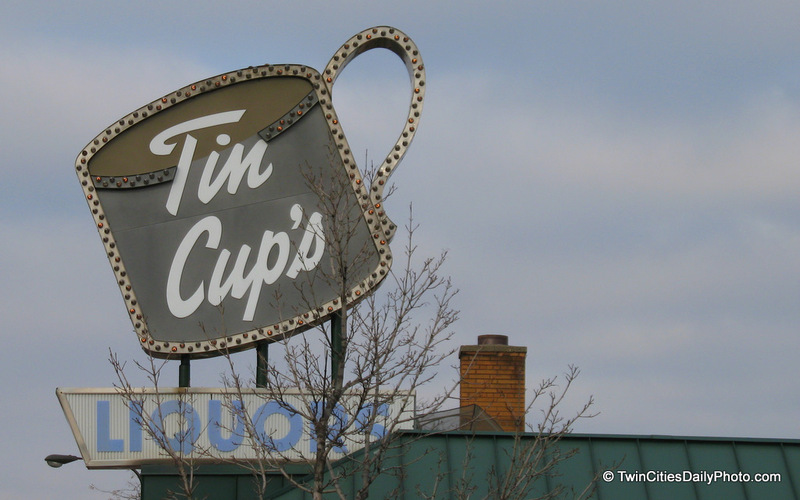 You have to love this great Tin Cups sign, which can be found on Rice St and Maryland Avenue in St Paul. It was home to a recent episode of "Man vs Food" which featured the Lucy Challenge. What is it....two, 1-lb. Lucifer Juicy Lucys with 2-lbs. of fries. It needs to be eaten in 45 min to win the challenge. A Juicy Lucy is 2 quarter pound patties pressed together with filling in the middle. Tin Cup’s has 6 different types and are working on a pizza version with pepperoni and mozzarella. The Lucifers have Pepper Jack cheese, jalapenos and a special Diablo sauce which is a mixture of several hot sauces. Not something I can do, or would even attempt, but kudos to those who can and try.